From DreamWorks, Steven Spielberg directs two-time Academy Award winner Daniel Day-Lewis (Best Actor, There Will Be Blood, 2007, and My Left Foot, 1989) in Lincoln - with an all-star ensemble cast including Sally Field, Tommy Lee Jones and Joseph Gordon-Levitt. 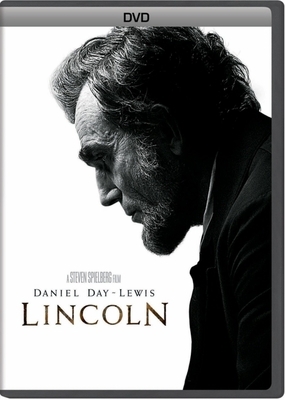 This inspiring and revealing drama focuses on the 16th President's tumultuous final four months in office as this visionary leader pursues a course of action to end the Civil War, unite the country and abolish slavery. Complete with never-before-seen footage featuring Steven Spielberg and the cast, who take you deep inside the making of the movie, Lincoln sheds light on a man of moral courage and fierce determination.